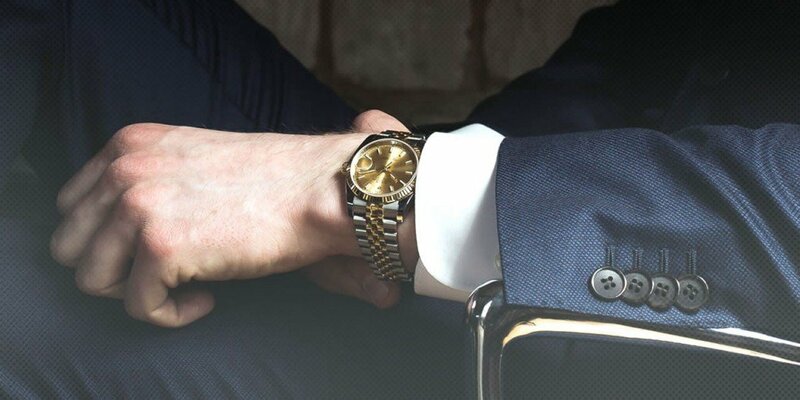 As you already know, the Rolex watch difference is that they are impeccably crafted pieces of fine machinery; a Rolex timepiece represents the pinnacle of luxury in terms of both style and movement. Some can attempt to imitate the Rolex watch, but they cannot duplicate it, as there are just so many signature markers to overcome. From the magnified date window to the signature sweep of the second hand, it is all of these small details that set them apart from their imitators. And, it is in these small, fine details that we enjoy our Rolex experience. Let’s talk for a moment about the Rolex dial and try to understand the detailing and craftsmanship involved in creating one. This is, after all, the most visible part of a watch and gives a potential buyer a perspective on what they are about to purchase. Let’s break down the types of Rolex dials by aesthetics and function. The Rolex Datejust comes with a dial that is clean and elegant complete with Roman numerals. Rolex Daytona also comes with a clean and elegant dial with additional sub-dials for timing activities. A Milgauss dial is themed to capture the heart of science enthusiasts. The Sky Dweller has a dial that displays two time zones, as well as a monthly calendar. The popular Rolex Submariner and Yacht Master have dials that glow blue in the dark. These are only the common elements of these Rolex dials. There are many other things that set Rolex dials apart from their competition. For example, there are any number of materials used in Rolex dials including mother-of-pearl, diamonds, gold and meteorite with finishes ranging from lacquered to sand-blasted. However, Rolex proudly affixes the crown front and center on each dial. This is the one thing all Rolex watch dials have in common. We hope you have enjoyed this handy guide.